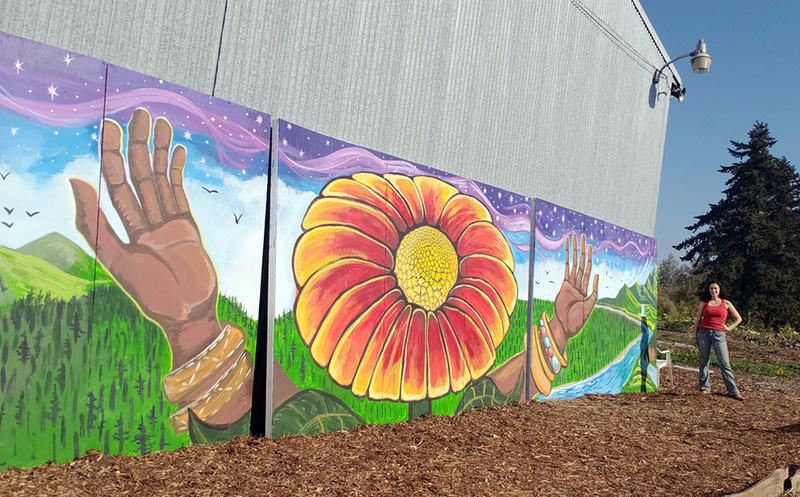 In June, I worked on a team to help finish a mural in Southeast Portland. 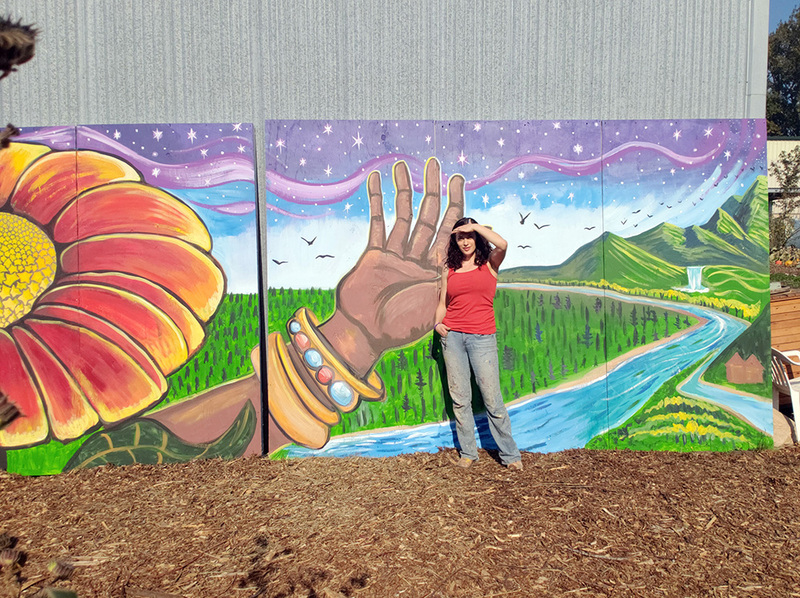 In July, I was added to the Regional Arts & Culture Council’s Muralist Roster. 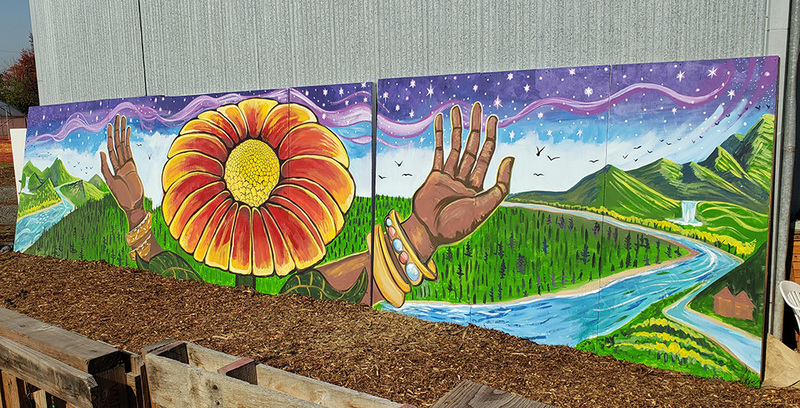 And now, I’ve finished a beautiful mural for Mudbone Grown Unity Farm at Oregon Food Bank! I’ve been doing volunteer shifts in the gardens there for a couple years. 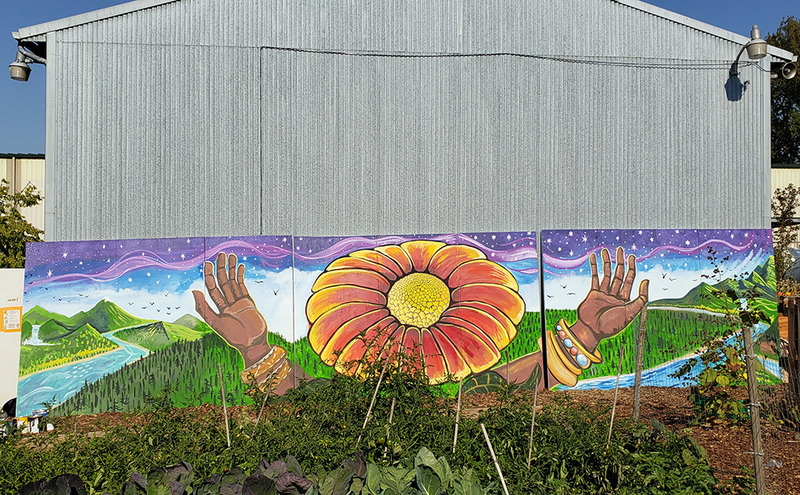 I very much admire the work of Art and Shantae, the leaders of this urban farm. The design for this mural was sketched out by urban farmer and artist Edward Hill before I arrived to do the second half of the work. I finished filling in the color and added all the finishing details to bring it together into this gorgeous, nature-inspired completed mural. The plan is to eventually mount the mural up high on the wall of the building. 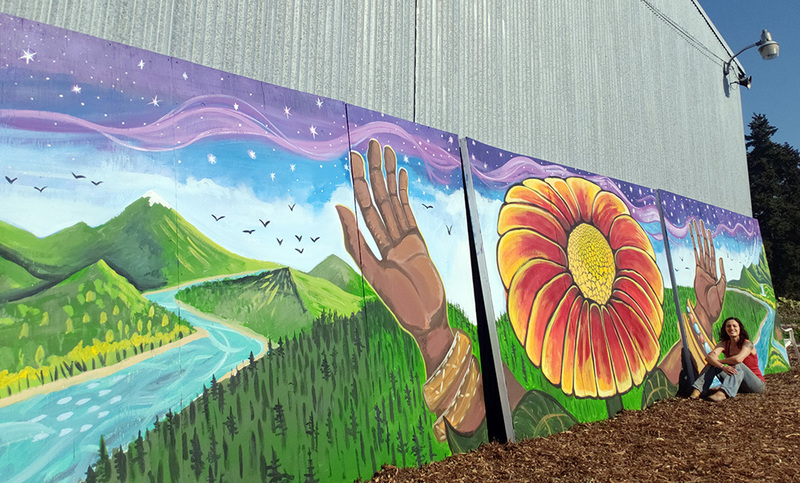 The mural is approximately 8′ tall and 36′ wide. I’m so happy to have been a part of this project! As always, contact me to inquire about your Portland-area mural needs!